Why settle for a vape that can only handle oils, waxes, loose-leaf marijuana or e-liquids when one pen can do it all? Multimode pens are getting easy to find, and they’re quickly dropping down to double-digit prices. Problem is, a lot of these cannabis and tobacco-vaporizing devices perform like you bought them at a 99-cent store. Too many are manufactured by fly-by-night firms and utilize components chosen for discount pricing rather than performance. 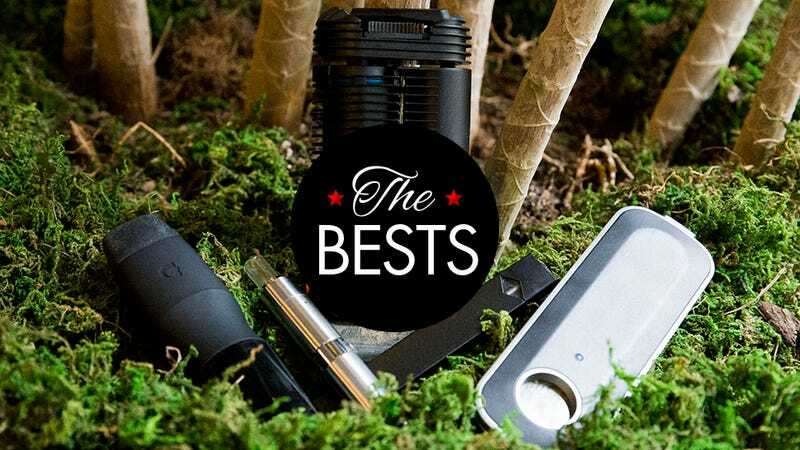 So how do you find a portable vape that’s durable and powerful enough for everyday use, adaptable enough to meet your ever-changing toking requirements and affordable enough to not break your budget? You keep reading, that’s how. When it comes down to it, vaporizers are basically just portable miniature ovens: a battery pack provides power to the heating element which gently cooks the botanical material in its heating chamber until the active ingredients vaporize and travel up an airway into your mouth. Easy? The battery has to be strong enough to last at least a half-day of moderate use (for me that’s about 100 puffs between 7am and noon, your requirements will vary) or else you’ll spend an inordinate amount of time looking for places to plug in recharge. The heating element has to get hot, quickly, and stay nice and hot to efficiently vaporize those botanicals. That determines the taste, quality, and quantity of the resulting vapor. It has an impact on battery life too. The mouthpiece needs to impart no flavor of its own. Ideally it should be metal or glass—but plastic mouth pieces have significantly improved in the last few years and can, on occasion, provide no diminished flavor. You’d be surprised how few miniature ovens are actually up to spec. Few vapes heat up quite as fast as the Firefly 2 and even fewer are as simple to use. Loading a bowl requires the same dexterity as loading a traditional bowl, so there’s little improvement on that front, but getting a hit is way, way easier. Just press the buttons on the side and inhale. The Firefly 2's vape is especially smooth and the plastic mouth piece doesn’t impart any additional, plastic-like flavor. If you’ve ever wanted to taste your bud or concentrates without any kind of acrid burnt taste than this is the vape to buy. The Smokio one of the better looking vape pens out there it is so easy to use that when Adam reviewed it he became addicted to nicotine. Because it smokes like other run of the mill vape pens you might balk at the $75 price tag, but the Smokio is the rare connected vape pen and the Smokio app lets you monitor your nicotine intake so you can figure out exactly how addicted you are. The tiny display on the side of this pen is invisible until you power it on, but then you get the current heat of the bowl and battery life in very easy to read white LEDs. It also produces a decent vapor that’s startlingly warm compared to others. For $175 it’s much cheaper than other competing loose leaf vapes like the Firefly 2 or Pax 2. The major downside? It looks like you’re smoking out of a nose hair trimmer. With every aspect of a mod vape being customizable, mod vaping has a very steep learning curve. The Topbox Mini Starter kit is by no means perfect. It will not hold your hand on your journey into the hobby level electrical engineering that is mod vaping, but it will make things a little easier. It’s also gorgeous and available in three different colors. There’s an OLED screen for controlling the myriad of options available to you and the tank holds 4.5mL of e-juice. Which will easily last you a day or more. However be careful with how you fill it. The tank of the Topbox is prone to leaking if filled wrong and you bag will end up smelling like buttered caramel corn if you’re not careful. Like mod vaping as a whole, the big issue with the Topbox Mini Starter Kit is all the options it assails you with. You can adjust the temperature of your vape or you can adjust the wattage. You can go with a .5 ohm coil or a 1.5 ohm coil. Confused? Yeah. Me too. That’s not a fault of the Topbox, but of the whole hobby as a whole. Which is why we have a fantastic guide to vaping. It’s only built for vaporizing one kind of material, but it vapes it really, really well—producing a nice thick cloud seconds after you press the button. You won’t find much of a temperature difference between the three settings you can smoke at, but you’ll definitely enjoy how easily this fits into your hand, and your lungs will probably appreciate how the entire thing is made of medical-grade components. It’s currently going for $75 in the Hypnos store. The most stylish vape available (it comes in four colors!) and the only one to include the game, Simon Says, as a feature. It also produces a damn fine vapor. Because the mouth piece is shaped like a straw you will always feel like you’re smoking out of a juice box with the Crafty. An app available for iOS and Android lets you customize the temperature and an included tool gives the Crafty the easiest to pack bowl of any vaporizer available, but the vape you inhale can sometimes have a weird taste due to traveling through such a long plastic mouthpiece. Once upon a time the Pinnacle Pro DLX was out favorite vape for all your vaping needs, but, you know, times have changed and new technology means this guy has to be put to pasture. Our former best vape for e-liquids looked good and could handle multiple substances, but it couldn’t quite compare to the Smokio in terms of ease and attractiveness. Our former most informative vape continues to give off a whole slew of information that the vape-obsessed might need but the rest of us don’t. Unfortunately it also has a tendency to disassemble itself in your pocket and the low quality heating element for wax and bud left your smoking substance seriously scorched. The $60 Dube2 was far and away the smallest and most easily concealed unit I tested, measuring a mere half-inch in diameter. It’s the Benson and Hedges of portable vapes. But it holds less than 2 ml of e-liquid or hash, and literally a single hit’s worth of loose-leaf. You’ll likely wind up spending more time trying to load the damn thing than you’ll ever spend vaping from it. I was so enamored with the Thunder when I first reviewed it. Not so much now that I’ve broken all three wax canisters—some after the first use—and cracked an e-liquid tank after dropping it 10 inches onto the carpet. At $7 a pop, that gets pricey fast. The durability isn’t what I’d hoped. The Atmos Dart is sturdily built, rugged, and only rarely leaked nico-juice while in my pocket. But the battery life is unforgivable. The longest session it could muster was 24 minutes of absent-minded puffing (3-4 draws/minute). It also took two full hours to recharge. Dealbreaker. The DaVinci Ascent is a very functional dual-material vaporizer that accommodates both loose-leaf and waxes. It’s got long battery life (and long charge times) and an all-glass pathway. But even Mr. Magoo can tell this isn’t a vape pen. The predecessor of the DLX, the Pro sports many of the same specs including size, weight, and battery life. It does not, however, have a six-stage heating element, only a two. You can likely pick one up at a discount, but if you can afford it, go for the newer DLX model. The Zema Pro is a serviceable 3-in-1 from Got Vape. It’s relatively inexpensive, utilizes a slick Pyrex mouthpiece atop an aluminum air path, and is easy to use but just doesn’t get me excited enough to warrant dropping $90 on it. Remember how Sub Zero and Scorpion from Mortal Kombat were basically the same character, just with different finishing moves and swapped color palettes? Those two had less in common than these short-lived, leaky clones. Just like the Ago G5, except without the useful LCD screen. It does use standard 510 threading, mind you, so you can easily swap in larger batteries and more robust, aftermarket canisters if you so choose.